Consumer Confidence...As Good As it Gets? You are at:Home»ETF Strategist Channel»Consumer Confidence…As Good As it Gets? 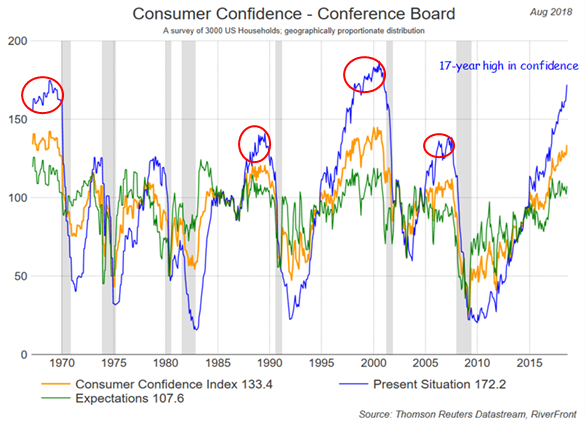 Consumer Confidence…As Good As it Gets? Technology and Internet-related stocks, especially of smaller, less-seasoned companies, tend to be more volatile than the overall market. Standard & Poor’s 500 Index (S&P 500) measures the performance of 500 large cap stocks, which together represent about 80% of the total US equities market. It is not possible to invest directly in an index.